Balance. . . a state of equilibrium, serenity and calm. Balance is also associated with the ability to manage your life, to keep things in perspective, to handle adversity with a positive response. Practicing Pilates offers an opportunity to develop both physical and mental balance. How can that be? Consider the origins of Pilates. Pilates is an exercise system developed by Joseph Pilates, a German immigrant, who was a World War I prisoner of war in England, then moved to New York City in the 1920s.. Rather than call his system with his own name, he named it Contrology because he believed in using the mind to control the muscles in order to develop strength and flexibility of the body and mind. Pilates believed strongly in the mind/ body connection. . . balance and harmony. In the early years, Pilates’ principles were embraced by the dance community. The exercise system focuses on developing a strong core, and he created apparatus so that students could train their bodies. In today’s exercise world, Pilates has almost become a generic term that is frequently used by instructors who have not earned credentials to properly train clients on the apparatus. Buyer beware! Inquire about your trainer’s education for your own safety and ultimate success. Joseph Pilates’ first apparatus was created using bed springs and pulleys, and those origins are clearly evident in today’s apparatus such as the Cadillac and Reformer. Instructors must be trained to properly adjust springs and pulleys to individualize resistance training. So how does training on odd-looking pieces of apparatus develop better balance? These pieces of equipment are extremely versatile and can be used for a variety of exercises, some of which are challenging even to the most dedicated student. Be aware that it is nearly impossible to perform Pilates exercises without mental focus and control. They are exercises that demand regular practice under the watchful eye of an experienced instructor. One of the main principles of Pilates is concentration. Students must focus on their bodies while executing each exercise. During a Pilate’s session, the teacher will remind the student to focus in order to be precise and strong. In other words, students can’t be distracted by life outside the Pilates room . . . at least during the training session. Pilates exercises are performed slowly and accurately in order to achieve the best results. They are also executed in smooth, flowing manner. Energy flows from a strong core and a focused mind into the student’s arms, legs and even into their fingers and toes. Breathing, and focus on the motion of breath is a key component of Pilates exercise. A Pilates instructor verbally guides students through mindful breathing. . . another level of integrating the mind and body through balanced execution of exercises. Through committed and regular practice of Pilates with a trainer each client develops his or her own body and mind connection. 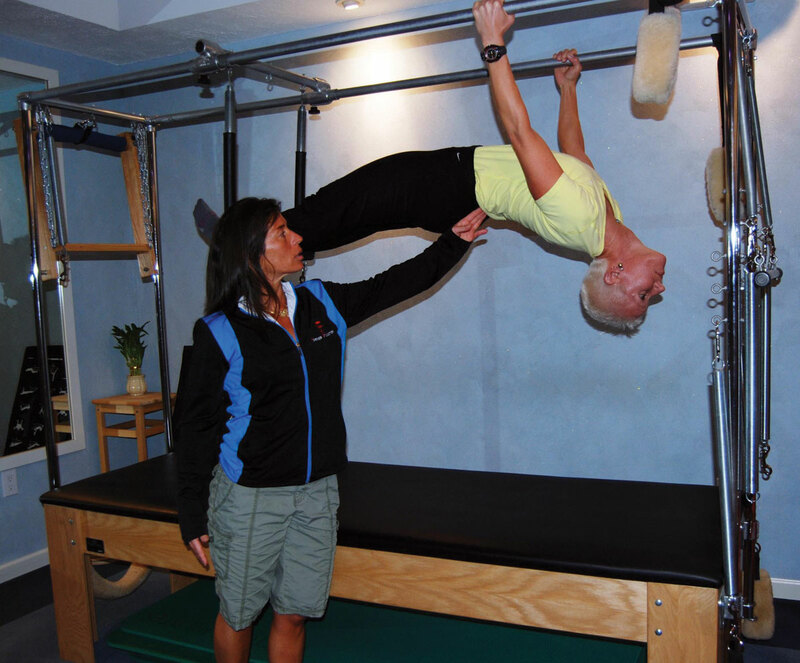 The lessons learned in the Pilates room extend outside into personal life. Students have learned to focus on the challenge at hand and how to respond to the opportunity with a calm breath and mind. Your brain is engaged, rather than being distracted by minor external circumstances. These are lessons that not only develop good posture, strong abs and a flexible spine. Pilates offers lessons for life. 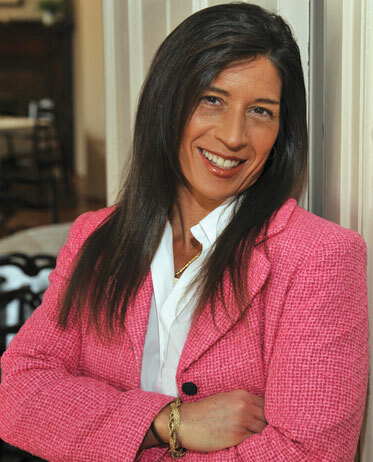 Nancy Hawkins Rigg is the founder and owner of Forever Fit Foundation, a personal training business specializing in Pilates, Gyrotonic, Gyrokinesis, Yamuna Body Rolling and sport specific training. 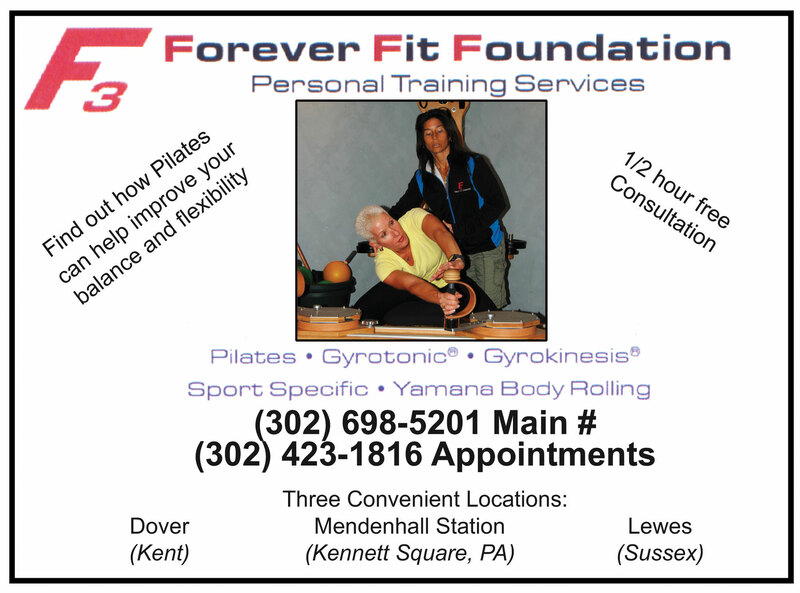 Forever Fit Foundation accepts clients at three sites: Dover and Lewes and Mendenhall Station, Pa., just over the Delaware line. A certified athletic trainer, she earned her bachelors degree from the University of Delaware and her master’s degree in exercise science and sports medicine from Miami University in Ohio. Please call (302) 423-1816 or (302) 698-5201 to schedule an appointment or for more information. ← Previous Story Do You Know Your Vitamin D Status?